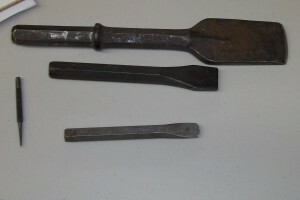 This article was prompted by the many folks who have told me that they would have started making armour if they had only known that they didn’t need to spend a fortune buying tools – and were generally surprised that tools like an Anvil were fairly far down on the suggested list of armour tools. 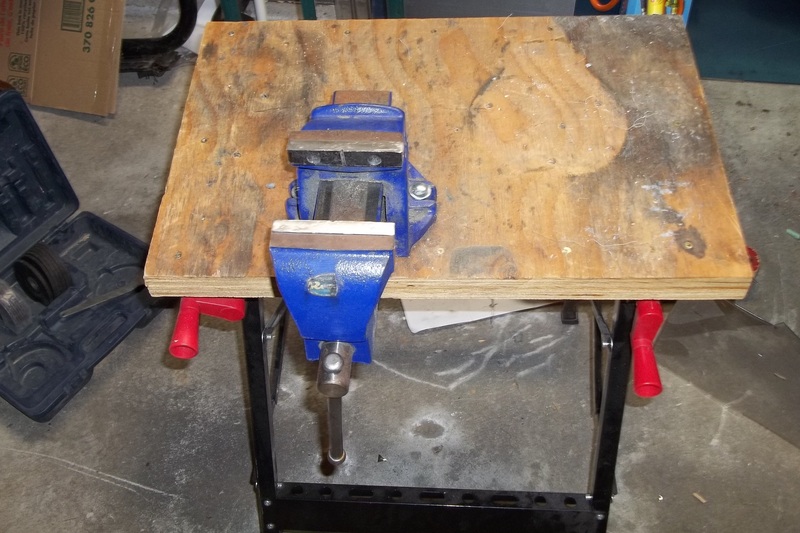 In point of fact, as of this writing (March 2013) I don’t have an anvil in my shop, although I’m currently looking for one for tool-making. My guesstimate for the cost to “equip” a minimal armoury is under $500 if you are buying completely new tools, and you can probably do it for under $200 (and possibly under $100) using the stuff you have lying around the house and going garage sale crawling. Some of the most expensive stuff in my “must have” tools are things like blocks of lead and bars of steel, both of which can be picked up at scrap yards for not a lot of cash. If you don’t know what some of these tools are for, or what the techniques are there is a good chance that there is either an article covering it on this site or if it isn’t there yet, it’s probably on my “to do” list – hit the “contact” link and ask and we’ll see about reprioritizing it. Environmental / Safety: If you can’t afford to protect yourself from sharp edges, particulates and noise you aren’t going to have a very nice life, let alone have fun in the shop. 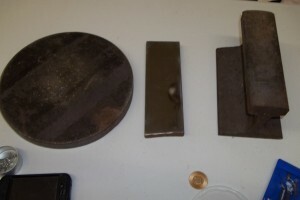 Patterning: Make the right (flat) shapes to transfer onto the metal – the shaping techniques used will influence the pattern. Cutting: removing the right shape(s) from your metal, whether this is sheet, bar or “other” material. 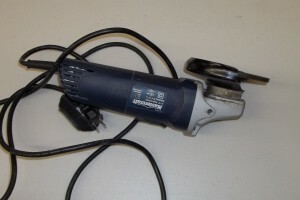 Abrasives: Whether you are filing or looking at bulk stock removal to make tools, you are likely to need to “tweak” your cut pieces, or at the very least take the edges off so that you aren’t bleeding while trying to work with them. Gross Shaping: For most armour this is things to bang on and with – hammers, anvils and stumps. Fine Shaping: You will need tools to get the lumpy bits out. Fortunately these don’t need to be $200 jewelers stakes. Punching and Riveting: You almost always need to put things together, and if you aren’t raising (the tools are somewhat expensive) or welding (also expensive) you are probably doing assembly with rivets. Strapping: I’m hard pressed to think of a piece of armour that doesn’t have leather somewhere to hold it on or hold it together. Polishing: if you aren’t polishing it’s really hard to tell where your mistakes are, and how to fix them. 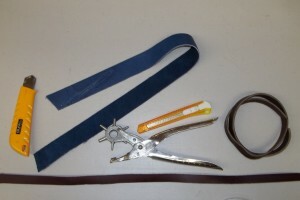 This gear is also needed if you are making tools, because rough tools make ugly armour. So lets take a look at each of these areas, and what cost-effective options are out there to do them. I favor big banks of fluorescent bulbs because they provide “linear” light that lets you check curve consistency by “rolling” the light across a surface – if the light “ripples” you have an inconsistent curve. I do a lot of fine work (jewelers saw work, so sub-mm tolerances) so my “minimum” light density is about roughly a 4 foot fluorescent light for each 30 square feet (3 square meters) of shop space – my 15′ x 15′ (5m x 5m) shop space has 2 of these 4-bulb fluorescent units, and it’s at the bottom end of usable for me. 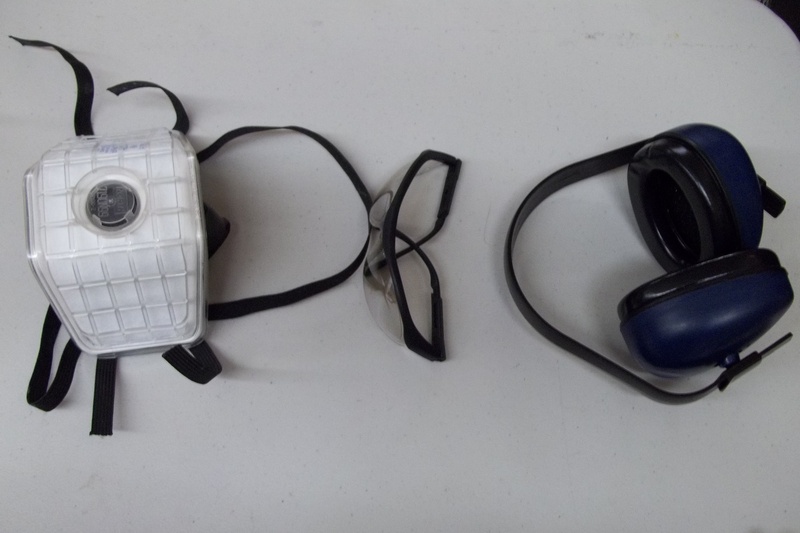 Minimal safety gear in my shop (used appropriately – most of the time I’m just wearing my glasses and hearing protection) is eye protection, gloves, hearing protection, and a respirator that will handle tiny particle sizes. I’ll also add some notes about having your tools at the right height – I aim to have my work surface roughly at my waist so that tools and so forth are at a convenient height. 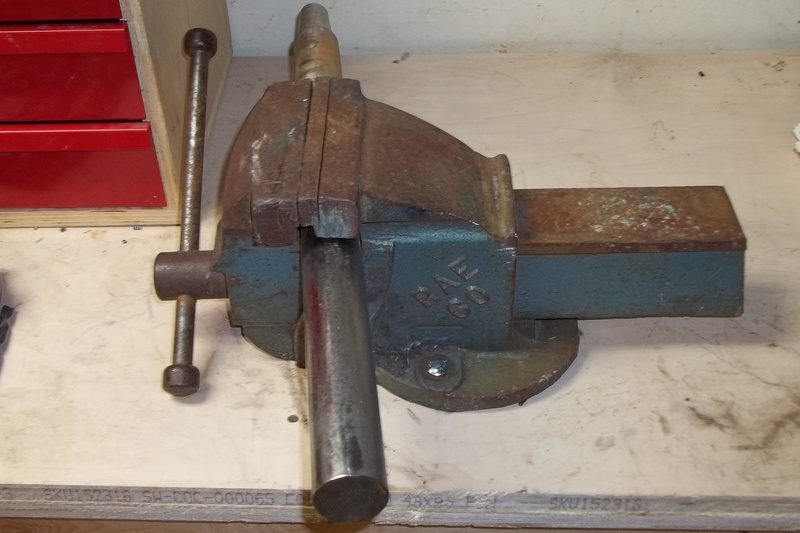 In putting together the “basic” set of tools I realized that a vice, despite not being present in medieval armouries, was probably the most used “expensive” tool in my shop. Without a vice, you’ll be very hard pressed to make hinges, and you won’t have anything to hold the steel bar that I’m suggesting in place of an anvil for making simple curves (like gauntlet cuffs or vambraces) It’s also handy for holding tools like planishing and fluting stakes. 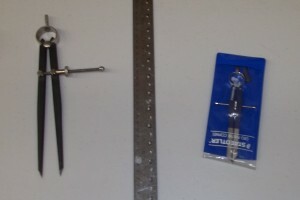 This is largely an article about what tools to use, not how to use them: rulers, cardstock (for rigid patterns – paper patterns are hard to use) and compasses make layout and pattern transferring easy. Note that the ruler in this picture has a lot of holes in it – this allows me to put a pin through one of the holes and get large diameter curves easily – important for consistency in some armour patterns like helmets, breastplates and pauldrons. 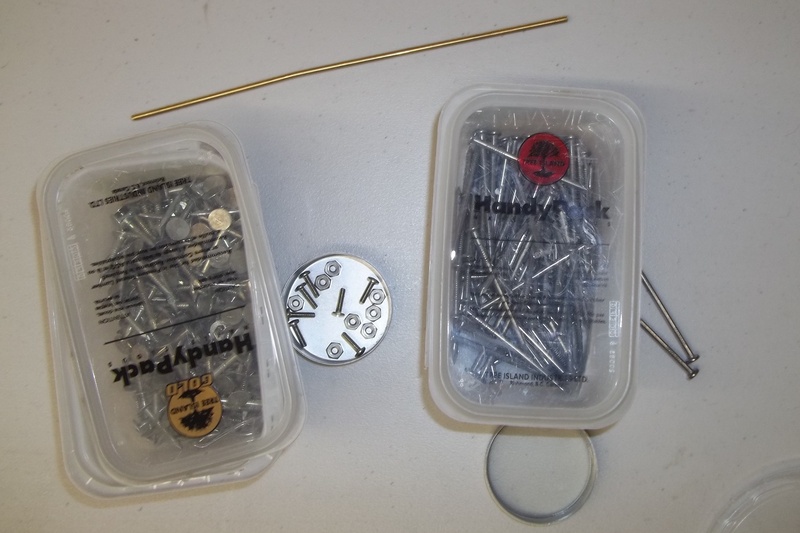 You will also note that there is a pair of steel dividers (left) and a compass with lead (right). 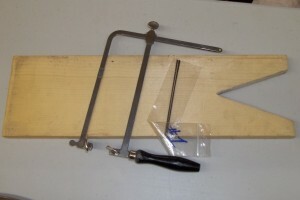 The dividers are used to transfer distances onto steel, while the compass is used for paper patterns. I always hear that armourers need a Beverly shear to do armour. I’ve heard it for years, and it just isn’t true. When making gauntlets and other “finicky” work I tend to use a jewelers saw because the extra time taken to saw the metal out is more than offset by the reduction in flattening and deburring tight curves cut with a shear. I also recently discovered that Robert Macpherson, arguably the best armour in North America for a number of decades, has never used a Beverly Shear. So what does he use instead? A saber saw (often known as a jigsaw) with fine blades seriously clamped down to his working surface to reduce vibration. For smaller pieces with thin metal you can also use tin snips, although these are a bit tricky to use and need lot of clean up. 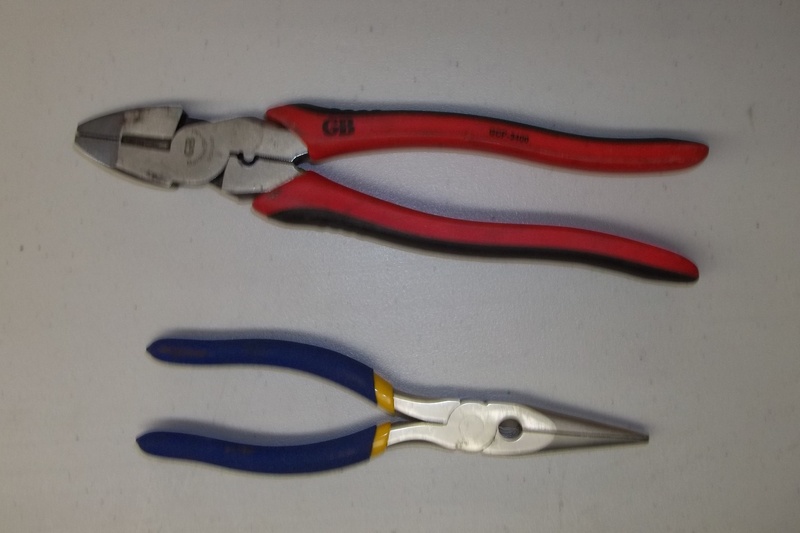 For trimming rivets and other small stock to size, I really like my linesmans’ pliers (red handles) since they have crazy mechanical advantage and will happily clip 1/8″ stainless steel rivets without destroying my hands. The needle nosed pliers get used for clipping wire and forcing Jewelers rivets (1/16″ wire domed on both sides) through the appropriate holes. 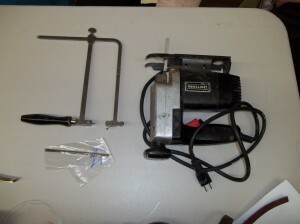 I’ve also included a second pic of a jewelers saw and the V-Board that you need to support the work while cutting. After cutting things out, you almost always need to clean up the edges so that they aren’t sharp, or remove extra material in very tight places. You will also need to make your own tools if you are on a budget, which means you will need something to change the shape of hammers and other large metal. My “must have” power tool is a right angle grinder, and I have one for grinding and one for polishing: these cost from $10 – $50 for the inexpensive ones, up to the multiple hundreds for nice autobody sanders. I’d suggest an inexpensive 4 1/2″ one to start, or an inexpensive 5″ version if you are planning on making large sinking (dishing) hammers immediately – the time savings are probably worth the extra money. 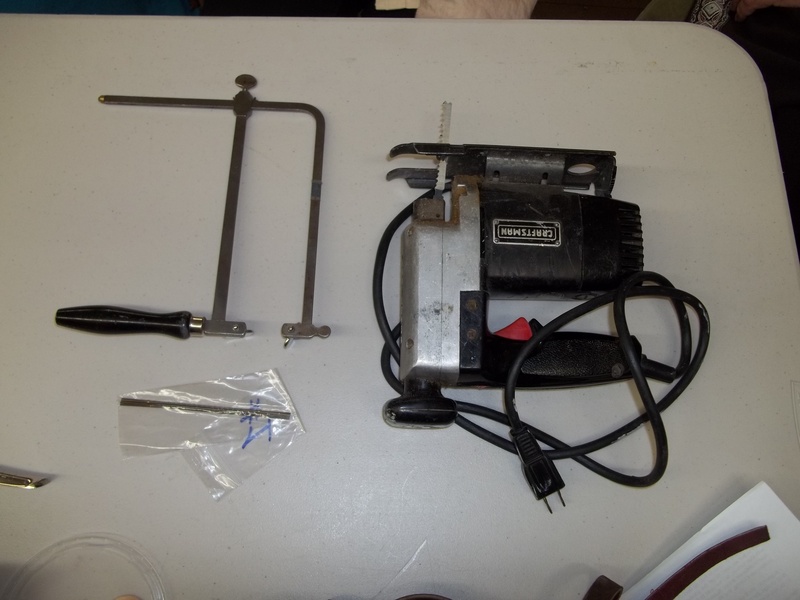 You will probably want to spend some money on a sanding attachment and some of the finer sanding disks for making tools. The other “must have” is good files: I like the Nicholsons, which are generally available (made in North America). They are significantly more expensive than “cheap” files, but if you are working with metal instead of wood the better quality is needed. A good file will happily put a notch into your pocket change with a single stroke and it won’t take a lot of effort. 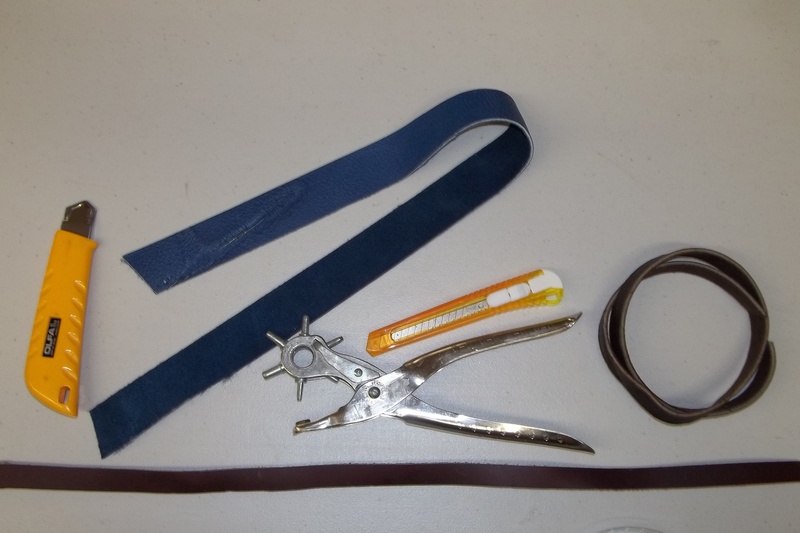 I store my files wrapped in inexpensive quarter-cut leather since this keeps them dry, oiled (the leather has a bit of oil left in it) and makes sure that the files can’t bang into each other or my other tools. If you look at medieval depictions of armourers you will invariably see that they have an anvil, tongs and lots of hammers. 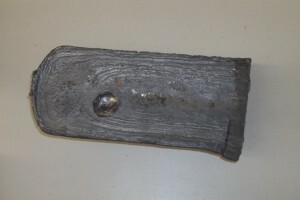 the anvil may be square, and may have been made of fairly soft iron. 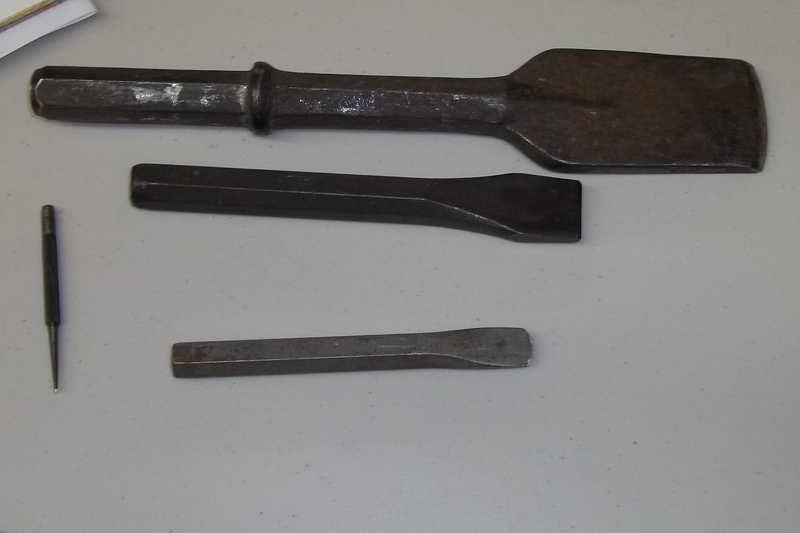 Why did medieval armourers use anvils so much? Remember that medieval armourers did not get nice rolled sheet like we do, they got roughly hammered sheet of varying degrees of thickness, or even billets of metal. As a result much of their work was preparing their raw material (which is much easier to do hot) or just smashing it into “close enough” shape and then grinding away a significant chunk of the surface so that it was even on the outside. Most medieval armour is very rough on the inside, but you don’t generally get to look at the inside of armour! 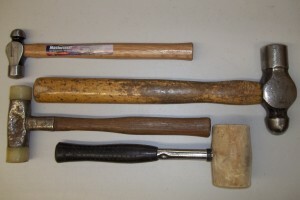 To compensate, they tended to use a lot of different types of hammers – above you will see a peddinghaus combination cross and straight pean hammer – which cost as much as the rest of the hammers shown here put together, probably with some cash left over. Because we get almost perfectly flat and uniform sheets of steel working cold (and trying to minimize deformation) is a viable technique for us. 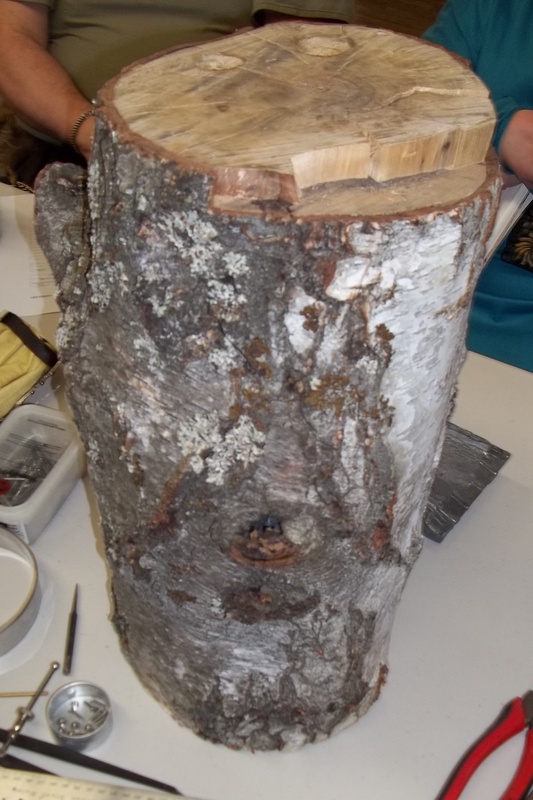 Working into wood (the big stump) is a good way to stretch metal (dishing or doming it) without scarring it up. 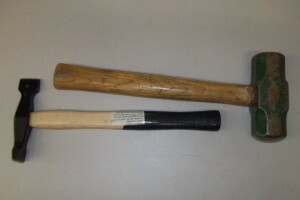 You will note that the other two hammers in the first hammer photo are runner or plastic – excellent choices for working on the outside of a piece without scarring it up. I don’t currently have an anvil in my shop and use a variety of metal objects depending on what I am trying to accomplish: the most used chunk of metal in my shop is the one in the middle of the first picture above, which is a piece of 1/2″ steel plate polished to a mirror finish with a few “dimples” carved into it for holding round headed rivets. It mostly gets used for evening domed surfaces by flattening ripples from the inside using one of my (many) slightly domed hammers. the railroad track (on the right) gets used when I need a very hard surface to hammer onto (not often used, usually when making new tools) and the bar locked in the vice (photo on the right, above) gets a lot of use, basically replacing an anvil horn (and then some) since I can flare and raise on this for pieces up to 24″ (60 cm) – you will be hard pressed to find an anvil horn that size, and this (stainless) bar cost me less than $50: the mild steel one that it replaced cost me less than $10! 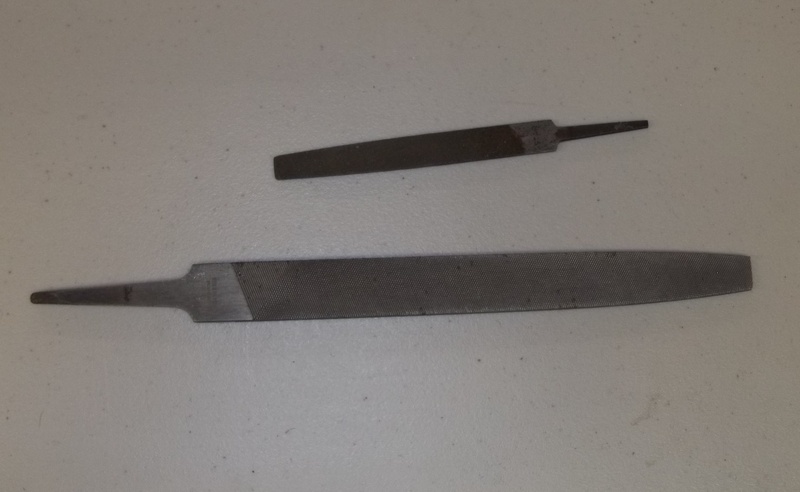 For very tight curves such as finger tips, galdings (knuckle plates) and the like, as well as a resistive backing plate for starting fluting lines I use a lead block. While I could form my plates with the help of a torch, the lead block does a good job for most small components. This chunk of lead is about 30 pounds (14 kg) but a smaller piece would work just as well since the primary formation mechanism is that the lead deforms around the outside of the shape, supporting the piece and ensuring that the metal stretches evenly. 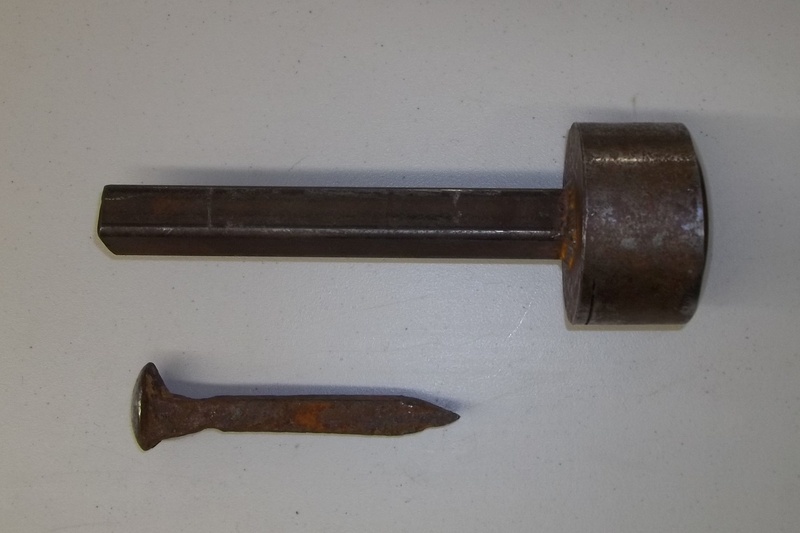 You are going to need something to hold things together, and one of the most common solutions was rivets. While the actual execution of articulation rivets is somewhat different than leather rivets or “hard” rivets (used to hold solid objects like helmets together) all of them need holes through the two pieces of metal that need to be attached, a rivet to drop in the hole and backing to hold the rivet on while it is upset with a hammer – presto, you have joined the pieces together. 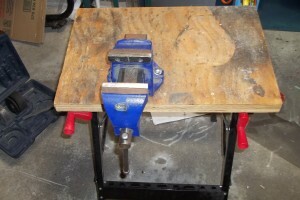 The most cost-effective solution to make those holes is a hand drill, preferably a variable-speed corded drill since it will provide more power for your dollar. The variable speed is important, since some materials like stainless and carbon steel cut more effectively at low speeds. Arguably more important than the drill are a good center punch to make starting the hole withut the drill bit skating off your work, and high quality drill bits. 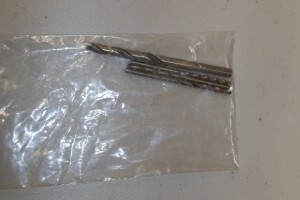 I strongly reccommend using titanium nitrile drill bits: they are about twice the price of “standard” (black) high speed steel drill bits, but they will drill about 50 holes through stainless steel, while the high speed steel bits tend to melt into the first hole you try to drill. This is less of an issue for mild steel, but going by the cost per hole instead of the cost per drill bit the more “expensive” bits are a fraction of the cost of the cheap (as opposed to inexpensive) ones. When you are finished, you really should polish your work if only so that you can see where you made mistakes that need to be fixed the next time. 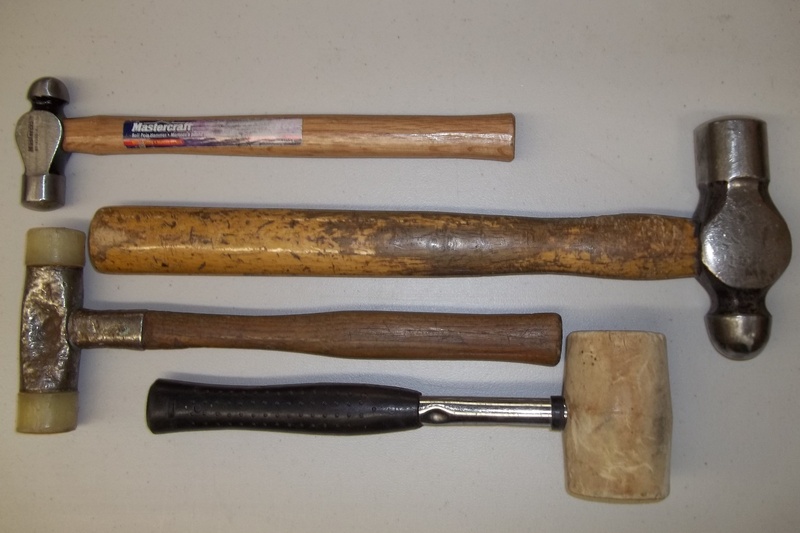 You will also want to polish any tools (hammers and planishing stakes) that you build, since any surface imperfections will get transferred onto the surface that they are in contact with. If your hammer has a scratch on its working face, you will put a little “ridge” into whatever you are hitting with that hammer every time it makes contact, and that’s a bear to clean up! Fortunately, you already have a vice and an angle grinder, so all you need is a muslin buff with the correct sized arbour hole (generally 5/8″) and some white tripoli (used for polishing steel) and you are off to the races. 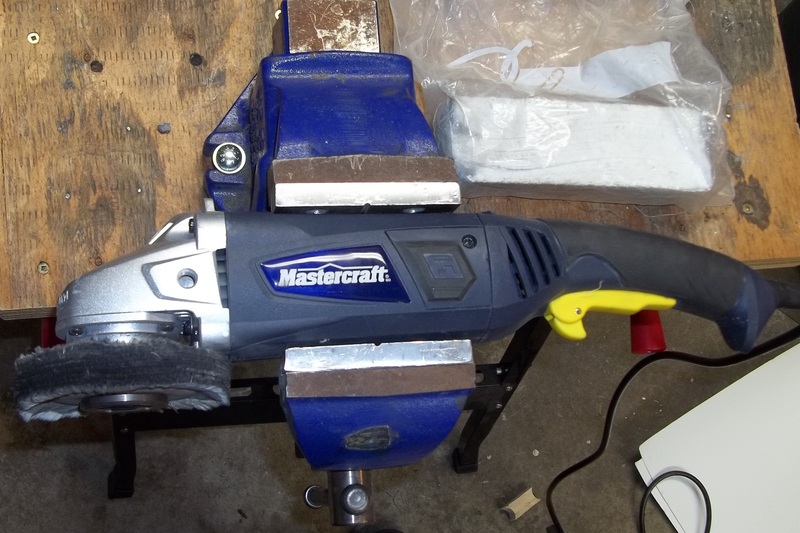 There is a limited amount of depth available to put a buff into an angle grinder, so buy the thin pads, and note that they will take a bit of work to get onto the arbour. You will also need a number of safety precautions, since this configuration is definitely not covered by warranty and standard operating procedures and requires the demounting of the guard. Wear your respirator and eye protection because cloth buffs are not designed to be operated at this speed and they will shred. Wear gloves, because polishing makes metal hot! Tjankfor showing me how to make simple things into basic armouring tools.